BNP Paribas’ long history of support for the sport of tennis began with our sponsorship of the French Open in 1973. Since then, BNP Paribas has become one of the top sponsors of professional tennis tournaments across the globe. BNP Paribas’ premier tennis event in the US is the BNP Paribas Open, which the Bank has sponsored since 2009. The BNP Paribas Open is a two-week combined ATP World Tour Masters 1000 and WTA Premier event featuring the top men and women professional players in the world. This tournament, known as the Grand Slam of the West or Tennis Paradise, is held each year at the beautiful Indian Wells Tennis Garden in Southern California. In 2018, the event attracted over 450,000 fans, and the Bank announced that it will extend its title sponsorship of the tournament to 2023. 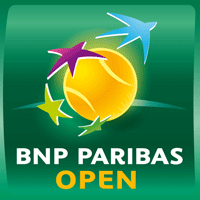 BNP Paribas is also the title sponsor for the Fed Cup, also known as the “World Cup of Tennis”. More than 80 countries participate in the Fed Cup for women. The US is a regular host country for this leading team tournament organized by the International Tennis Foundation.